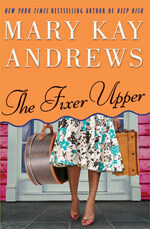 Mary Kay Andrews is the New York Times and USA Today best-selling author of The Fixer Upper, Deep Dish, Savannah Breeze, Blue Christmas and Hissy Fit. A former reporter for the Atlanta Journal-Constitution, she writes funny, heart-felt novels about women who've been knocked down and kicked around -- but never defeated. She also published ten critically-acclaimed mysteries under her real name, Kathy Hogan Trocheck, before launching her debut as a women's fiction novelist. 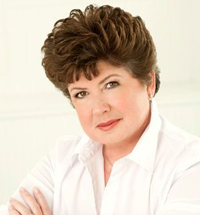 Mary Kay's novels are often informed by her own love of junking, fixing up derelict beach houses, cooking, entertaining and dealing with family dramas and traumas. Married to her high school sweetheart and the mother of two grown children, she divides her time between homes in Atlanta and Tybee Island, Georgia. She blogs, tweets, Facebooks....and in between is at work on her next novel. And the one after that. A sought-after speaker known for her sparkling wit and a lecturer in demand for her pragmatic and inspiring approach to writing and publishing commercial fiction, Andrews' recent speaking and teaching engagements have included The Southern Lady Celebration, (Atlanta) The St. Joseph's-Candler Foundation Smart Women benefit luncheon, (Savannah) The Jacksonville (FL) Book Festival, The Champaign, IL Library, The Antioch Writer's Workshop, Romance Writers of America National conference, The North Carolina Literary Festival, the Charleston (S.C.) Courier spring book and author event, The Public Library Association National Winter conference, the Texas Library Association, Junior League of Raleigh, N.C., and the Margaret Mitchell House (Atlanta).